Imagine you are a 15-year-old girl who has never known anything but the woods. You have your father there, who is both a teacher and a trainer. You train endlessly for an unknown purpose and live a simple life. What if that simple life is upended along with everything you've ever known? What if you were also a genetically enhanced fighting machine to boot? Now we're cooking with gas! Hanna is based on the 2011 film of the same name. The 2011 movie was a dark fairytale that had some almost ethereal qualities to it that elevated it higher than it may have been without. It also boasted an outstanding cast with great performances. Saoirse Ronan was in the role of Hanna and she managed to bring warmth and badassery to a character who was just learning the world and all the social chaos that comes with it. Cate Blanchett held the role of Marissa Wiegler who was absolutely intimidating, cold, and calculating behind a false smile. Eric Bana was playing Erik Heller, Hanna's guardian and de facto father, who trained her to fight back against those who sought to hurt them. It's practical fighting elements along with some long takes brought an interesting style to a genre that wasn't evolved to the point of John Wick yet. Hanna is a girl raised in the forest for her whole life. She only knows of the outside world based on books and what her father teaches her. She is trained in fighting, how to use a gun, covering her tracks, and adapting to situations that would put way too much stress on any normal person. She's a force to be reckoned with and the people who helped make her that way want her back. Movies that are turned into TV shows have an understandably varied track record. It can be hard to extend the length of something that was originally conceived as a contained story meant to entertain for a few hours and then end. There are those like Buffy the Vampire Slayer and M*A*S*H that may be the best examples of those who managed to succeed in that aspect. You could argue that Buffy succeeded in this way because it had the writer from the original movie, Joss Whedon, crafting the story to fit more what he intended than what the film version was. You can argue Joss Whedon makes things better in most cases, but let's move on. This series adaptation of Hanna was spearheaded by one of the writers of the earlier movie, David Farr, and it shows in several aspects as the show goes on. Hanna feels like the original movie in places. The TV series wisely changes some things to fit the lengthened format better. I will start off by saying that the biggest casualty of the transfer of mediums is the dark fairytale tone. This is the biggest disappointment for me, as this was one of the things that set the film apart from so many similar stories. It was something I was looking forward to seeing how they would convert it to fit the new structure, but it was lost in translation for the most part. The innocence lost aspect has taken a hit in some regards but has maintained part of its structure. I think the show could have really benefited from bringing the fairytale tone in some subtle ways, as opposed to the movie which used very overt themes. One of the strongest aspects that Hanna has carried over from the films is Hanna herself. 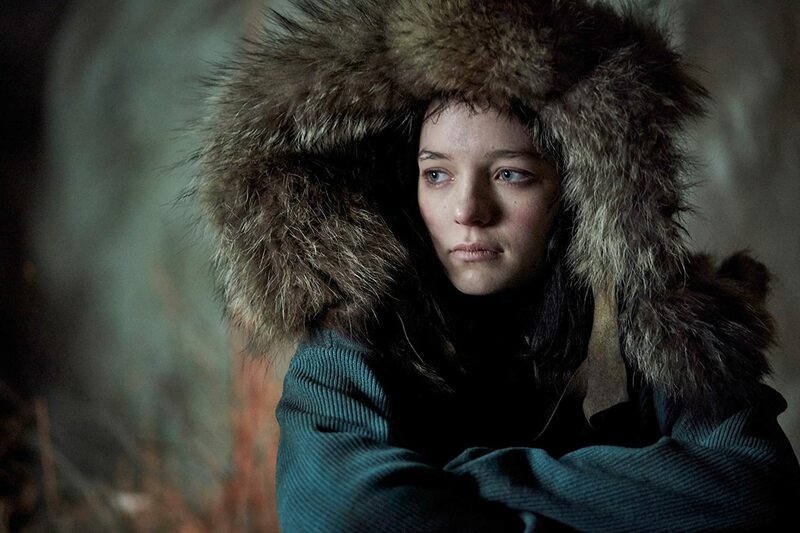 Esme Creed-Miles does an admirable job of inhabiting the character of Hanna. I thought Saoirse Ronan did a fantastic job portraying the character, but I will say that Creed-Miles brought a more realistic approach to the character that was needed for this shift in tone. She is the most consistent and entertaining character to follow through this narrative. She brings a sort of innocence but in the sense that you are never worried that more worldwise characters are taking advantage of her. She is not a lost babe in the woods, but instead a curious explorer who is taking advantage of the experiences put before her. She's also a complete badass, so that carried over perfectly. Hanna was always a coming-of-age story at its core. The series fully leans into that in the middle of its run. Hanna has trouble fitting in, she misses nonverbal social cues, and she seems oblivious to the world as a whole at times. Sound familiar? Oh wait, that was most of us at that age. Hanna explores the social norms from an outsider's perspective and tries to examine them through the lens of what she knows. Our social hierarchy doesn't make sense to her as it wouldn't to anyone who was not raised alongside it. She understands after a time, but cannot help but act on impulse. It's almost as if she was a teenager. The series does well to explore these concepts and give the character space to grow naturally. One of the biggest changes between the film and the original series is the character of Marissa Wiegler who is portrayed now by Mireille Enos. She is a much more sympathetic character as opposed to her movie version. Her film version was completely reprehensible and hid behind a facade of professionalism and high heels, which concealed the monster beneath. The TV version has much more to her. As the series goes on you can find yourself rooting for her as she is more of a complete character instead of a straight-up villain. She has a life and a conscience. She is dealing with mistakes she made and despite her tough exterior, is as haunted by her past as anyone would be. I appreciate this change to bring more depth to the character, but in doing so they did sacrifice the menace and drive of the film's version. Part of that extends to Marissa's motherly instincts or lack thereof. She seems to have a mother-like attachment to Hanna as the last of her failed experiments. This brings her more onto a surrogate mother playing field, albeit an absentee one. Marissa might see part of herself in Hanna and you can see that side of her in her own fight scenes, which show that Marissa is not one to be messed with either. Erik Heller is played by Joel Kinnaman in this version, who does an admirable job bringing the father figure mentality to the character. You never second guess the devotion to his daughter and what they had to go through along with what they still have to go through to rage against the past. The only knock I have against Kinnaman is that despite all his clear father-daughter chemistry with Creed-Miles that he sometimes seems uncaring. I would attribute this more to the writing, as when Kinnaman shares scenes with Creed-Miles' Hanna he comes off as a devoted father who would do anything to protect her. This casting completes The Killing reunion. I didn't make the connection right away, but the chemistry between these two bouncing off one another in a verbal sparring match seems all the better for it. The fight scenes are some of the bonuses that seem to pay tribute to the film version. They are infrequent till the latter half of the series, but they are always well executed. Hanna always feels like a force of nature. She can take down any enemy and everyone who faces her is at a disadvantage. One of my favorite shots in the series came towards one of the final fight scenes with one character firing at enemies in the foreground, while the other was running towards another fight in the background. It was an example of how the series could craft some beautiful sequences that sometimes rivaled the original films'. The most original parts of the series come towards the end of the series and it brings up questions I had from the original film. Most importantly, would they try this with other children? This is clearly something that the screenwriter had thought about on the initial movie, but could not expand upon at that time. This question is the driving force later in the season and leads to some interesting avenues that were not explored before. The series has recently been renewed for a second season so I hope that we get answers to the interesting questions posed towards the end of season one. The series moves at a slower pace than the movie, which was essentially pure kinetic energy in movie form, but the series benefits from the slower pace in developing the characters better than the film. It spends a good majority of the first few episodes containing what may have been the first 30 minutes of the film. Once we get the familiar beats out of the way through, it takes a broader spectrum of the story and characters we were familiar with. It uses what you may know and uses it to build towards its own path. Hanna overall is a success. There are parts I wish had made the transition, but what did and what was added bring a more grounded approach that will better in the long run.